Proxility is specialized in highly professional networking and market entry services for international finance and business clients seeking to enter the German market. Its offices are located in the heart of the Frankfurt business district. A team of dedicated experts will harness their impressive network of contacts and provide a full range of services to maximize the client’s market entry needs. Proxility provides a wide range of professional services to international clients seeking access into the German financial market. With its well-established network within the German finance and business sectors, as well as its team of experts, Proxility has the ability to effectively speed up the market entry process. All client requirements are assessed individually, thereby allowing for tailor-made solutions. The invaluable network, consisting of high-level contacts within the financial and business sectors, has been developed over a number of decades and serves as one of the principle pillars to Proxility’s service offering. This existing and ever-growing network of contacts has been meticulously maintained since the early 90’s and provides the client with a tremendous advantage benefiting their German market entry. The second pillar of strength is the highly experienced background of the two founding partners. They have extensive expertise in finance and business, are multi-lingual and have an acute sense for providing effective solutions. A state of the art infrastructure is the third pillar that enables Proxility to service and maintain the personalized communication and marketing needs of each client. The fourth pillar is the ability Proxility has to develop and manage the cost effective and efficient execution of projects by utilizing innovative methods of implementation. The client therefore benefits from extensive experience and existing network accumulated over the past number of years. With the city of Frankfurt being the major continental European financial centre, it is clear that a sizeable amount of international financial service providers is extremely interested in setting up a presence here, either short-term or long-term. These financial clients need access to efficient set-up solutions, professional networking and market advice. The rationale is that international clients aiming to set foot in Germany can profit extensively from Proxility’s networking capabilities, as well as its financial, sales and marketing know-how. At the core of Proxility’s services lies its powerful networking capability, which has continuously developed over the past three decades. International clients from the financial and business sector benefit from Proxility’s targeted and efficient approach by maximizing its well-established expertise. With Proxility, Strategic Networking becomes a powerful business connection source that enables our international clients to effectively achieve their strategic goals in the German market. Proxility’s partners team up to offer client specific solutions which are based on experience and know-how, coupled with an acute understanding of country specific business cultures and approaches. All clients will be offered tailor-made solutions. A clear understanding of the client’s goals will determine the most effective course of action. Proxility targets the international financial and business sectors seeking to establish a presence in Frankfurt, as well as in Germany as a whole. These clients will be serviced with class-A connections allowing a speedy entry and representation of their specific products. The inevitable consequences of Brexit will have a direct impact on financial networking needs in the near future. By the time Brexit takes effect in 2019, a significant number of international banks will have opened or increased their physical presence in Frankfurt. It is currently estimated that as many as 5.000 international bankers will move from London to Frankfurt within the next two years. This brings with it a significant number of peripheral financial specialists and institutions in need of financial networking services. Proxility is ideally positioned to provide extended networking services to clients that are aiming to increase their German market presence. Furthermore, Proxility also provides networking services to the European and Asian markets, thereby connecting globally to institutional and qualified investors requiring non-regulatory financial services. Based on the vast networking capabilities offered by Proxility, clients can instantly benefit from the expertise and direct market approach, thereby resulting in a tangible return. Todd Brennan has over 25 years of experience in Transatlantic Business Development. A US Citizen born in Upstate New York, Todd has lived and was educated primarily in European countries (Germany, Belgium, France and England). He is a US Air Force Veteran and is fluent in English, German, French, Dutch and Italian. 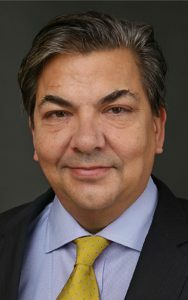 Todd Brennan has held the position of European Director, State of North Carolina – European Office based in Frankfurt, Germany. He also was Sales Director at R.R. Donnelley from 1996 until 2006. Markus Ross has over 35 years of experience in the financial markets. 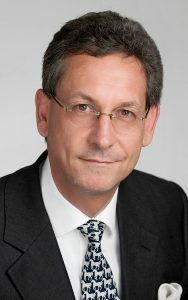 He held management positions within several German, American, Swiss and Turkish entities of the Ceros Group. He is fluent in German, English and French. Turkish-born Halime Gürsu, who has been living in Germany since 1972, is a Certified Public Accountant with a background in IT. Halime has been working in the financial industry since 2000.